A career in healthcare offers many rewards: there is job growth and security with the US Bureau of Labor Statistics noting that the healthcare industry is projected to grow by 26% through 2022, not to mention the high earning potential due to the high demand and sensitivity of the job; as well as the ability to make a direct difference in the form of delivering quality healthcare to your patients. However, depending on the niche and the cost of entry, entering the industry can be very competitive. If you finally landed an interview with a potential employer or a recruiter, here’s how to prepare yourself and ace that interview. It starts by getting on a recruiter’s radar. You will need to understand how recruiters function: recruiters get paid to find candidates not easily found by other recruiters or by competing companies. Start by investing in a quality LinkedIn profile, and investing in networking and forging authentic connections. Alternatively, you can invest in curating a professional blog that will describe your expertise in the healthcare industry, as well as pontificate about your shortcomings and how you were able to prevail. A public persona can position you as an authoritative figure in the healthcare industry and will attract the attention of potential recruiters. You are very much well aware that you should wear professional attire to your interview. However, what matters is to how you approach the recruiter and how you answer their initial questions. When they ask to tell them about yourself, what they really are asking is: “are you qualified enough? Personable enough?” Make sure to keep steady eye contact and describe relevant experiences in your field. But also do not be afraid to add personal details. This is the time to show how your personality traits and life goals are assets and lend themselves nicely to your career path. Telling the interviewer more than they should know could be a fatal mistake. They want individuals who can process information and have a strong backbone while doing it. Remember that as a healthcare professional, you’re going to be placed in precarious, emotional, and highly charged situations through your career. Being too personable can be a detriment. Be friendly, but do not divulge into personal information during the interview. If you are not able to gauge familiarity, then follow the lead of the interviewer and mimic the demeanor of the person interviewing you. 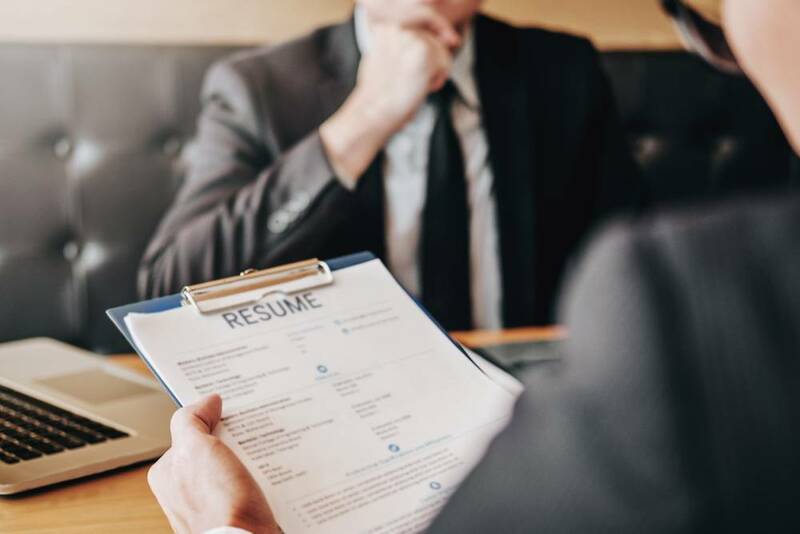 When the interview concludes, many candidates will be asked if they have any questions — and unfortunately, most will answer with no, and nervously leave the room. It is imperative to ask questions and demonstrate an interest in the industry. Asking questions will also reveal if the workplace is the right place for you.